In part III I told of my personal experiences witnessing a “CAUSA” conference. It purported to be an “alternative to Marxism,” non-Unification Church event. However, it was obviously operated and controlled by Unification Church and nearly all speakers praised Rev. Moon and Unification Church. When its organizers discovered they had invited an “enemy,” they took steps to immediately isolate and deport me back to Detroit. Two years later, I had an unexpected encounter with Tim LaHaye on the subject. It was February 7, 1986. I left Washington, D.C. for speaking engagements in Colorado Springs. I did not see Tim LaHaye again while in Washington. I was scheduled to speak in Monument, Colorado and thereafter for a Colorado Eagle Forum Friday-Saturday conference. From there I was taken to Denver for a busy and intense schedule that would span the next two weeks. “Fine, put her on,” said Tim LaHaye. I told Wanda, “Wanda, I am not about to debate with Tim LaHaye on Furrs Cafeteria’s only phone, located by their cash register, at the height of their rush hour -- especially when my own lunch is getting cold. He’ll have to call me later." After lunch I had a cordial meeting with the pastor of a large Presbyterian church in Colorado Springs. Then we hurried to Wanda Leonard’s house for the 3:30 telephone conference she had scheduled between Dr. LaHaye and myself. The phone rang. Wanda answered it and then handed it to me. Tim LaHaye started by apologizing for not getting back to me in Washington, D.C. the week before. Then he abruptly said, “You said that I was part of the New Age Movement.” I was startled. “I said no such thing,” I replied. He next said, “well, you quoted from a sleazy left wing magazine. He was obviously referring to Carolyn Weaver’s important article, "The Moonies and the Christian Right" that had recently appeared in Mother Jones Magazine. I was amazed at what Tim LaHaye said next. He said, “I never took any money from Bo Hi Pak or Unification Church.” “Oh?,” I replied. He said, “the liberal controlled Washington Post refused to give ACTV [American Coalition for Traditional Values] any publicity. So I contacted Bo Hi Pak who arranged for a series of stories to appear in the Washington Times. I was writing to thank him for those stories." I said, “Tim, would you seriously like that explanation presented to a jury?” He was silent. I note for the record that that the context of the letter was clearly financial. Moreover, it appeared to be priming the pump for more Unification Church contributions. “I knew that was happening,” said Tim LaHaye. “That’s why I resigned from Coalition for Religious Freedom.” “Yes, but you didn’t resign from ACTV, you didn’t resign from Family Life Seminars,” I replied. Tim then said that he had been involved in Coalition for Religious Freedom for religious liberty issues. I told him that it was my understanding that Rev. Moon’s prosecution had nothing to do with religious liberty issues whatsoever. It was a tax fraud case, pure and simple. Rev. Moon had produced some allegedly 15 year old affidavits to prove that he had been holding property in trust from Unification Church members. The IRS had done their standard watermark testing and discovered that the documents were very new ones. Tim LaHaye literally snarled, “I’ll be the judge of that!” Then he slammed the telephone down without saying goodbye. I never spoke with him again. I, Constance Cumbey, was the new enemy! Per Angie, the coordinator said that until Beverly LaHaye had given her directive, they didn’t even know my second book was out – several of them had immediately thereafter rushed to local bookstores to buy it. Encouragingly, however, over the years some courageously resisted Unification Church lures and pressures. "Many conservatives would rather not have this information made public, fearing that it will "damage the movement." I suggest that no one needs to fear the truth. If the conservative movement is based on fraud and deception, which it would be if this truth is stifled, then it deserves to be damaged. "...Moon has, in the AFC, a tremendous vehicle to assist his political movement in the USA. Combining the thousands of black church leaders trained through various Moon-linked organizations with the new-found political power and savvy of the so-called New Right Christian activists, many who would be attracted to Christian Voice, would have a profound impact on America and the world. 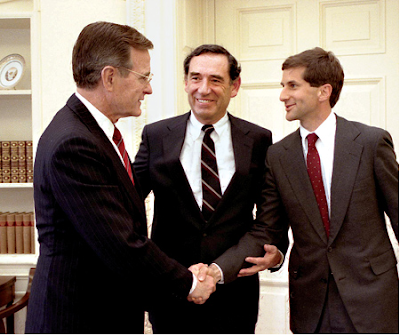 Equally disturbing as Tim LaHaye’s apparent compromise was Jerry Falwell’s. Jerry Falwell would speak at the 1987 CAUSA program, 4 years after my own encounter as a keynote speaker for CAUSA. If he ever uttered a word against the New Age Movement, I never heard of it. Perhaps others did. Again the lure for him was obviously money. Moon had reportedly bailed his university out of a financial crisis. What could have been persuasive voices against religious apostasy and the New Age Movement, including one of its more odious expressions in the form of Rev. Moon who claimed to be “the Lord of the Second Advent” had been either muted or silenced. Next Week: Part V of this expanding series. Will include “the twelve” involved with Abraham (Abram) Vereide and Marian Johnson in the formative years of Fellowship Foundation. Included in the discussion will be Frank Laubach, Norman Grubb, and Glenn Clark of Camps Farthest Out.” Was it Christianity, or was it badly disguised theosophy? The influence of Frank Buchman and MRA (Moral Rearmament Movement). To my readers: This is part III of the series which now appears will extend beyond the 4 part promised. It is part of the series I am doing for NewswithViews.com, "The Hi-Jacking of Evangelicalism." I am giving my blogspot readers a "sneak preview." Thanks to all the participants on "My Perspective" internet radio last Friday afternoon and special thanks to Farmer! I'm adding some supplemental material here that does not appear in the NWV article. Betty Freauf of Oregon wrote me and I penned this in reply to her letter. Thought it would be helpful here. It is in the comment section. Traipsing around Wayne State University in the late 1960s when I was a student, I saw posters for a new “messiah”, Sun Myung Moon. I thought then of the Biblical warnings of Jesus that “false christs and messiahs shall arise, deceiving many.” Rev. Moon was visiting the United States then. He moved here in the 1970s. The followers elicited many jokes about “flower sellers.” Books by authors such as Ted Patrick warned that these groups were brainwashing America’s children. The only seeming Christian regard for them then appeared to be that of something to be avoided at all costs. I graduated from law school in 1975 and immediately began an active practice. My work frequently took me downtown. Downtown Detroit had a prominent building – still there – the First National Building. The First National Building had a health food bar – one where somebody could sip herbal teas, buy ginseng tablets (billed as a legal way to keep us awake) and eat various nutritional goodies. Although the staff was fairly quiet, it soon came out that they believed Rev. Moon was the messiah. When Benjamin Crème spoke in Detroit, November 4, 1981, the Unification health food store and faces commonly seen there were included in his large audience. So was just about every other mind control and /or other forms of “New Age.” Bread for the World and Oxfam also had a presence that evening. The First National health food bar personnel were visibly present. There were so many people in the audience representing such a huge variety of New Age groups – ranging from Est to Rajneeshees (Osho), to Unity and A Course in Miracles that Unification Church seemed the least of our worries. When I collected the New Age books and periodicals, there was ample evidence that Rev. Moon and his organization were clearly part of the New Age landscape. Escalating events seemed to carry me about after Benjamin Crème and company ran their April 25th, 1982 advertisements proclaiming “THE CHRIST IS NOW HERE.” Only a few short days after those ads appeared, the local paper, THE DETROIT FREE PRESS featured a large feature article by staff writer, Ruth Seymour. The numbers attending my local lectures suddenly jumped from 35 to hundreds. I was suddenly on demand for television appearances, radio interviews, and many out of town lectures. I would put my law practice on hold for the next seven years and get the bulk of my exercise running for planes. An unexpected referral fee for an old medical malpractice fee came just in time to sustain us financially during this time that my law income was diminished. As I did not feel I could maintain credibility for a controversial message by exploiting it financially, I spoke for free will offerings. Often the speaking engagements came from small churches that sacrificed to raise the transportation and lodging expenses. To lighten the load on organizers, more often than not I was housed in church member homes. Things were happening to me so rapidly, I could scarcely reflect on them, let alone daily catalog them. This was also a time when I was receiving fierce opposition from too many Evangelical sources for reasons I did not understand and would not fully understand until I discovered the details outlined in the first two articles of this series. It was a time of tremendous anxiety and stress for both me and my family. My disabled husband who had lost both legs above the knees in a 1979 accident and my son were understanding troupers throughout these years as I traveled more heavily than I had expected to ever do in my life. There was a form to fill out at the end of the conference. It included a “whom shall we invite.” They duly filled out “Constance Cumbey” complete with Detroit address and phone number. They called me to say that they both thought it terribly important that I see it for myself. They were right. Shortly thereafter I got a followup call from CAUSA staff. I said I would accept their invitation; however, they would have to fly me from Fort Wayne, Indiana as I would be there for Christmas. They would have to return me to Detroit. The terms were accepted. Flying that “milk bucket route,” I was routed through Charlotte and got there several hours late. There was a “Carla,” with the “CAUSA” sign held aloft waiting for me. She drove me to the hotel. I went to the room which I learned was to be shared with a female author of books on camping. She told me she was there because they had a son involved in Unification Church. They had tried unsuccessful attempts at deprogramming and they had given up on seeing their son again. Then, she said, out of “the blue,” they were contacted by Unification Church personnel and told that if they became active in CAUSA, they could have free access to their son. Well, I had the conference materials and lists of names of those there. I also had a sense of the danger the organization posed. CAUSA Executive Director Joseph Tully had admitted to me, “ yes, we work with Benjamin Crème AND Tara Center, but we don’t all agree on who that new Christ is.” For the record, I had not mentioned “Tara Center” to him – only that I had seen local Unificationists in the Detroit area present at the November 1981 Crème lecture. I returned home. Many radio interviews gave me the opportunity to give CAUSA more “free advertising” than they had ever counted on. I had telephone calls from Memphis pastors. Two, saying they were from large Memphis, Tennessee churches called me to tell me the Unificationists had tried to work their congregation over “religious freedom issues.” They said they working to free people such as Everett Sileven and Rev. Moon from “religious persecution.” These godly men further told me they were presented brochures indicating “bubble gum card” Christians such as Tim LaHaye (Chairman), Marlin Maddoux, Jan and Paul Crouch, and many others were named on the brochure for the organization "Coalition for Religious Freedom." The ministers said they had called these people who had refused to listen. Given my recent personal experiences with this cult, I listened. We would move to Lake Orion, Michigan in late 1984. In late 1985 I read an article, THE MOONIES AND THE CHRISTIAN RIGHT by a free lance writer, Carolyn Weaver in MOTHER JONES MAGAZINE. I saw it in the small bookstore of Lake Orion where we were very new in town. Ms. Weaver said that by writing this article which featured sad news of Tim LaHaye’s entanglement with Bo Hi Pak, she did not intend to imply that the average fundamentalist Christian supported Bo Hi Pak or Unification Church in any manner. “To the contrary, the average Christian would perceive Bo Hi Pak as an altar boy to the Antichrist,” aptly wrote Ms. Weaver. At Huntington House’s request, I attended the 1986 National Religious Broadcasters convention held in Washington, D.C. In February 1984, two years earlier, Tim LaHaye had introduced himself to me at that event. We then had a cordial discussion. He told me the threat as he saw it was “secular humanism.” I told him I thought he should take a closer look at the New Age Movement. I did not stay at the hotel, but with Washington area friends in 1986. I’m certain that Tim LaHaye who then lived in Washington, D.C. was not staying at the hotel either. I was scheduled to leave for Colorado for speaking engagements in Colorado Springs and Denver. I wanted to speak with Tim LaHaye personally about Ms. Weaver’s allegations. As I was coming down a Sheraton Hotel elevator, Tim LaHaye was coming up. I said, “Tim,” and he looked over. “Constance Cumbey,” I said. “Oh yes, we’ll get together,” he said. It never happened and it was probably nobody’s fault. I was scheduled to speak to an Eagle Forum conference in Colorado Springs. My assigned topic was New Age infiltration of the Church. I was wishing I had that article with me, but I did not. The Eagle Forum chairman for Colorado, Jayne Schindler, however, brought me a copy and specifically asked me to comment on it. I mentioned only in passing that it was one more example of how New Age factions were seeking to neutralize and even proselytize the Church. Another speaker was Peter Waldron also of Washington, D.C. Over the past four years I had done many radio interviews with him. He and Tim LaHaye had joint radio ventures in Washington, D.C. It was a bright post-snowy day in Colorado Springs when the sponsoring committee took me to lunch at Furrs Cafeteria. We were all startled to hear, “paging Wanda Leonard, paging Wanda Leonard” over the Cafeteria’s speaker system. I said, “Wanda, I am not about to debate with Tim LaHaye on Furrs Cafeteria’s only phone, located at their cash register, at the height of their rush hour, especially when my own lunch is getting cold.” He’ll have to call me later. Wanda scheduled me for a 3:30 Colorado time telephone conference with Tim LaHaye. Next Week: PART IV: The LaHaye conversation; me as the “new enemy” and the continued incursions of Unification Church into Jerry Falwell’s networks and beyond. “Burying the Cross” with Rev. Moon. THESE TOP THREE PICTURES WERE ADDED AFTER READING FARMER'S LATEST BLOG. THE INTERVIEWEE IN THE STORY QUOTED BY FARMER KEPT ALLUDED TO B - I - G PLANS FOR 2009. WE WILL BE ELABORATING ABOUT THIS ON MY RADIO PROGRAM FRIDAY! I'm working on Part III of my NewswithViews series of articles on "The Hi-Jacking of Evangelicalism." This one which will also be posted here will deal with Unification Church and its incursions into Evangelical and even Fundamentalist circles. In the meantime, Joyce directed our online attention to this and I urge you to click on this link to read the entire story. To see what is posted in full page mode -- SYRIA MAY HOUSE RUSSIAN MISSILES -- click on the picture to blow it up to full page. Thank you, Joyce! Tomorrow (Friday), Farmer (Bjorn) will be my guest on internet radio, MY PERSPECTIVE. Dorothy has posted some important links to help with following along. Thanks, Dorothy! Oh, and before I forget, there's a new link to the right on my blogspot. That is something you can click on to get items such as the presentation I used to mail out on CD. You may burn it to CD and distribute it. I will be placing significant items thre from time to time, e.g. my Israel National Radio interviews with Tamar Yonah, etc. So much happening. Stay tuned! NewswithViews Article Part 2 of 4: Buying Evangelical Silence? MY PERSPECTIVE Internet Radio guest this afternoon is Indianapolis Pastor Larry DeBruyn. Our topic is "The Images of God -- in your head?" PART TWO OF FOUR: Buying Evangelical Silence? I note wryly that Marilyn Ferguson may have been right when she wrote in her pro-New Age expository book, THE AQUARIAN CONSPIRACY that what distinguished this attempt of New Agers to spread their message was that “modern communications had encircled the world beyond any possibility of retreat.” But she and they forgot that it also enables us to figuratively say, “the British are coming, the British are coming” a la Paul Revere style with blindingly equal speed. The internet can and is used to spread truth just as or more effectively than New Agers use it to proselytize mysticism. Eighteen and One Half Hour Tapes! "A friend who also researches and writes about the New Age Movement called me immediately after her July 8, 1988 conversations with Doug Coe’s secretary at the Fellowship Foundation (Washington Fellowship) and Art Lindsley of the C. S. Lewis Institute about the Gold Lake event. 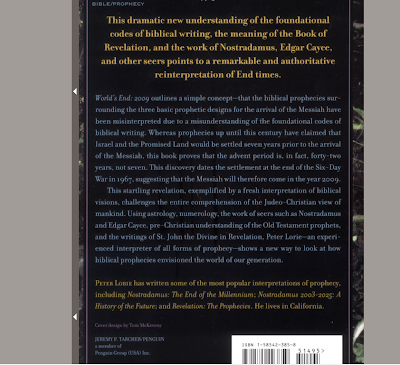 She made extensive notes of her conversations with Dr. Gordon Lewis (Denver Seminary); Molly, Doug Coe’s secretary at the Fellowship Foundation; and Dr. Art Lindsley (Spiritual Counterfeits Project and the C. S. Lewis Institute, Washington, D.C.) She shared her copious notes with me. We learned that the Gold Lake event was a “retreat” sponsored by “Christians” for New Age leaders. The events were chummy to the extent of featuring such popular trust-building exercises (popular in New Age circles) as Christians running obstacle races with New Agers. Molly told our friend that the events consisted mainly of group activities. Molly also told our friend that Art Lindsley was the person who knew about the tapes. This was the culmination of many months of our trying frustratingly to gather information on Gold Lake and being able to eke out only small tidbits from New Agers such as David Spangler and Fritz Hull bragging about the events. The following story will describe what we have been able to learn to date. “Dynamic Links” are the newest concept in software. It appears that there are all too many “dynamic links” between Christians and the globalist-occult community. Are they witnessing/ Or much more likely, are they networking? You be the judge! "Barbara Marx Hubbard’s most successful “Harmonic Convergence” did not take place on August 16-17, 1987. Nor was it the Soviet-American dialogues. Instead, her most successful blending of what she calls “resonating core groups” was held in Boulder, Colorado October 24 through 26, 1987. She started at a conference called “Christianity and the New Age” sponsored by Doug Coe’s Fellowship Foundation, Inc. (more commonly known as “The Washington Fellowship,” or “The Fellowship”), The C. S. Lewis Institute, Spiritual Counterfeits Project and other ‘Christian” organizations. The event seems to strongly smack of Evangelical Ministry to New Religions (EMNR’s) imprinting – in fact, many EMNR principals such as J. Vernon Grounds and Gordon Lewis were involved. "Our information for this story was culled from many sources. We learned by listening to tapes of New Agers, by asking New Agers such as Marilyn Ferguson, by other Christians calling “Christians” who were there and passing on the little information they received to us. The most important thing we learned was that the Christians there made a pact with the New Agers not to reveal information about the retreat. The 'Christians' obviously kept their word better than the New Agers. In fact, the very day the conference ended, David Spangler spoke at an Episcopal Church in Boulder, bragging about the success of the event. If the New Agers were less than reticent about talking about the event than the Christians, perhaps it was because the New Agers had less to hide! "We are writing to invite you to join us for the gathering we are hosting at Gold Lake on October 24-27, entitled “Bridging Through Christ.” The conference will be held at Gold Lake Ranch, an executive retreat conference center, educational foundation, and community initiative located in the mountains outside Boulder, Colorado. this meeting with a clearer sense of direction and set a course for further contact and dialogue. The meeting will be structured so that it can change according to the needs and interests of the group. We have asked two close friends, Barbara Marx Hubbard and Doug Coe to serve as co-hosts for this event, as well as Robin’s parents, Paul and Diane Temple. All of them are deeply dedicated and have each, in their own way, become powerful catalysts for bringing people around the globe together in the Spirit of Christ. More about them is enclosed. We are planning to limit the participants to about 30 lay people in order to create the opportunity for deeper communication and sharing. We are eagerly looking forward to being with you at Gold Lake in October and getting to know you in person. Enclosed is the logistics sheet and registration form which we would appreciate you filling out and returning it as soon as possible. Robin Kline is Paul Temple’s daughter’s married name. The information and its ramifications would continue to haunt me. Googling more and discovering Paul Temple’s pivotal role in both the Prayer Breakfast Network and the powerful New Age Institute of Noetic Sciences disturbed me more. From time to time I would google “Paul N. Temple” and learn progressively more of his business ventures which included a holding company named Shambhala, the mythical residence of the “Tibetan Masters” a la Helena Petrovna Blavatsky, Helena Roehrich, and Alice Ann Bailey. A few weeks ago, I made another pivotal on line discovery. I did a routine search for “Paul N. Temple” and googled it together with the term, “noetic.” This search yielded a “Three Swallows Foundation.” Reading on line reporter summaries, I learned that recipients had included groups as diverse as Arthur Blessit Ministries, All Seasons Chalice Church, and Montessori and Steiner schools. 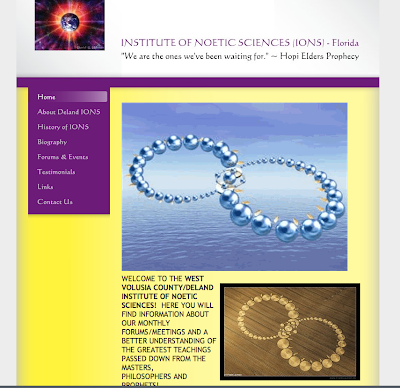 Large amounts of money had gone to the Institute of Noetic Sciences. Much larger amounts of money had gone to something called “International Foundation” of Washington, D.C.
Obviously, this modest Oklahoma missionary group could not have been the recipient of the amounts of moneys indicated had been distributed by the Three Swallows Foundation. I googled “International Foundation” and came up with nothing that led me to what it had really funded. I then had an idea. I went to Three Swallows Foundation’s 990 reports. I read the reports to the very bottom and found an entry for “International Foundation.” It had an address: 133 C Street, SE. Washington, DC 20003. I googled that address. Silence had been purchased at no small cost in dollars to Paul N. Temple and in souls lost to Evangelicals. Legitimate opposition to the hostile anti-Christian New Age Movement had been marginalized to protect Paul Temple’s investment. Those not bought off by Paul Temple were bought off with even greater investments from the Moonies. Next Week: Part III – Unification Church’s seduction and corruption of Christian theology. UPDATE: Just as I am critical of the Fellowship and its IONS / New Age betrayal, I must give credit for what is good. Vineyard Churches have taken lots of criticism, much of it deserved. I believe this comes down to who loves God and is trying to please him. I was pleasantly surprised to read this most excellent presentation of the growing hidden dangers of the New Age Movement by a Vineyards pastor, no less. He is wrong about one thing. It was not "fringe" in the early 1980s. But Christians were lied to and told it was fringe. New Age leaders and governmental supporters, including the then powerful Institute of Noetic Sciences, working hand in glove with Fellowship Foundation / "The Family" / The Cedars / Ivanwald during that era were very well entrenched indeed. I tried to sound clear alarms then and was made an object of derision for doing so. That it got to the point that the good Columbus pastor, Rich Nathan, Senior Pastor of Columbus Vineyard Church, now clearly warns, can be blamed, in large part on the cover those self-anointed watchmen, SCP, CRI, EMNR gave it. They claimed they were sounding alarms when in actuality, they were viciously and underhandedly fighting those who were. Click here to read a clear, sound, no-nonsense warning to this pastor's congregation. Congratulations to Pastor Rich Nathan for this clear warning to his congregation! May his message multiply many times. Pictures above: Doug Coe introducing another to President Bush (Time Magazine photo); Paul Temple; and the cover of my book which the Family was obviously fighting at Gold Lake and with the SCP "New Age Rage" Crowd of which David Spangler bragged in his Boulder talk. WAR BETWEEN RUSSIA AND GEORGIA - WORLD SITUATION OMINOUS! To my readers: While this is going on, indeed this very attempted usurpation of government by combined New Age / pseudo "Evangelical" forces is being used as an excuse to label us all as dangerous fundamentalists who must be staunchly fought. Check this link for a frightening display of attitudes -- talk about "incitement"! “Now all of the resonating core groups with outwardly different purposes are merging and blending and coming together to do THE ONE WORK. Barbara Marx Hubbard to a Unity Church congregation, Seattle, Washington, April, 1988. Years ago the New Agers tried to pin the Jim Jones and his kool aid mass murder/suicide cult on what they called “fundamental Christianity.” I was happy to have played a small role in giving him back to his long time New Age Movement confederates. Jim Jones had been a New Ager from the beginning, listed in two major New Age directories in the early 1972s as a New Age center networking with other New Age centers. “While the annual breakfast is a widely known event attended by a succession of U.S. presidents and foreign dignitaries, the Fellowship's role in diplomacy and current events has remained in the shadows. That's the way the organization wants it ..."
What I have discovered is that “The Family” and the Institute of Noetic Sciences, one of the most all time powerful New Age organizations, have intertwined core leadership and financing. The Fellowship did not come under my personal radar until late October 1987. Colorado friends expressed me tapes of a David Spangler talk at a Boulder Episcopalian church. , He explained to the audience that his talk to the Episcopalian church had been added “almost as an afterthought.” The real reason he was in town was to attend the latest in a series of ongoing meetings he had been having with Evangelical Christian leaders. This last one just finished had been held at the Gold Lake Ranch near Boulder, Colorado. A prior conference had been held at Hollyhock Farms in British Columbia. That is another established New Age center. 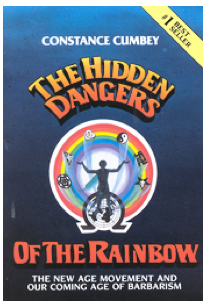 I wrote much of Spangler in my 1983 book, THE HIDDEN DANGERS OF THE RAINBOW. David Spangler is the New Age leader who distinguished himself by writing in his innocuously named book, REFLECTIONS ON THE CHRIST that the required entry point to the New Age was “a Luciferic initiation.” That may be the most honest thing anybody ever said about the New Age Movement. My path and the path of “The Fellowship” were to unpleasantly cross in July 1988. I rather suspect they were aware of my whereabouts and work long before that. I rightfully suspect that events and donor trails of the Fellowship had much to do with frantic evangelical leadership attempts to halt my work and question the very existence of the New Age Movement. Christianity Today, InterVarsity Publishing, InterVarsity Cbristian Fellowship, Campus Crusade for Christ, Multnomah College, Spiritual Counterfeits Project, Christian Research Institute, Denver Seminary leadership (Vernon Grounds and J. Gordon Lewis) were among those joining hands in an effort to bring into question the very existence of the New Age Movement on an organized level. Pat Robertson, Harald Bredesen, and even some of those I counted as friends and allies tried either openly or surreptitiously to block my work. 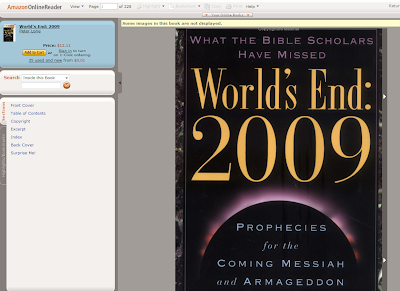 The motivating impulse for the frantic effort to deprive the Christian world of warnings of a movement publicly working for (1) a “New World Order; (2) a “New World Religion” and (3) a New Age “messiah” who was clearly not Jesus may well have stemmed from major financial support and political ties with one of the most prominent and visible New Age promoters – billionaire Harvard graduate attorney, Paul N. Temple. Paul Temple, together with astronaut Edgar Mitchell, organized the Institute of Noetic Sciences in 1973. Working closely with the two of them was Stanford Research Institute’s Willis Harman. Paul N. Temple who proudly professes his role in establishing the Institute of Noetic Sciences in 1973 worked, per the Billy Graham Center archives, with the Fellowship as early as January 1944. He would have been 21 years old that year. In the last few years he has given millions of dollars to various causes he supports through his Three Swallows Foundation. The information was culled from its 990 reports. 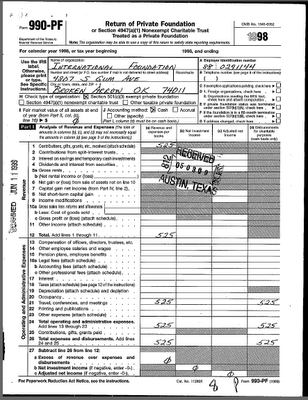 Nearly $1.7 million dollars since 1998 went to the “International Foundation.” Although one funding report gave a link to a modest Arkansas operation, searching the address on the 990 reports quickly yielded Doug Coe’s Washington, D.C. address. I detailed those amounts in an article I posted several weeks ago to my own blogspot., “The Harmonic Convergence of Noetic Science and Evangelicalism.” That article detailed the financial aid of Paul Temple and his Three Swallows Foundation to both the Institute of Noetic Sciences and Doug Coe’s Fellowship Foundation may be read by clicking here. In my opinion, God does not need twenty five cents of moneys dedicated to Rev. Moon nor to the Institute of Noetic Sciences to build his kingdom! What was built was not the “Kingdom of God on Earth,” but silence sufficient to allow the final nails to be built in the long awaited kingdom of the Antichrist – the open and obvious expectancy of the New Age forces who shamelessly avow their loyalties to Lucifer. After listening to David Spangler’s taped lecture of October 26, 1987, I launched through California helpers an effort to secure the Gold Lake Ranch tapes. Our caller was told by Gold Lake ranch personel that “the meeting was by invitation only,” She was further told that the meeting had been fully taped and each and every participant had been supplied a full set of the tapes. When our caller expressed disappointment, the very helpful Gold Lake Ranch responder said, “why don’t you contact one of your friends who was there and duplicate their tapes.” She acted, per my assistant, as if it were no big deal. That was obviously a lie. I placed a plea in my then newsletter, CONSTANCE CUMBEY’S NEW AGE MONITOR begging for somebody to come forward. You can read about that frustrating effort which spanned nearly a year by clicking this link. I made a few telephone calls to Colorado contacts who reported in turn a few names of disturbed friends there who were there. I compiled a data base using a MicroSoft card file program. As I received new information, I added same to the data base. All information seemed to cease when I received a telephone call asking me to do a television debate in April, 1988 against New Age writer, Marilyn Ferguson. I accepted the challenge. A few minutes later I received a telephone call from Ms. Ferguson herself. She suggested we might want to consider telling our television audience all the things we agreed upon rather than our differences. I had no intention of doing that, but as long as she was calling my house in such a nice conciliatory mood, I decided to take advantage and explore any knowledge she had of the Gold Lake doings. She told me she had not received her invitation to that particular party either, but she would see what she could learn and get back to me. She called me back a few minutes later. She said she had spoken to David Spangler who told her the meeting had been organized by Evangelicals and Barbara Marx Hubbard had chaired it at the invitation of the Evangelicals. It was to be several more months before I would learn of Doug Coe’s purported organization of the event. I say “purported,” because it now appears that although Doug Coe was an active participant, the event more likely was organized as part of an effort to neutralize Christian opposition to the New Age Movement. It appears to have been organized by Paul Temple’s daughter Robin who noted in the invitation that Doug Coe and Barbara Marx Hubbard had agreed to co-chair the event. This was the same Paul N. Temple who was an activist with the Prayer Breakfast network even before Doug Coe – since the days of founder Abraham (“Abram) Vereide. It was also the same Paul N. Temple who had bought Mark Hatfield’s Washington, D.C. real estate at an inflated price in 1981, leading to a Senate Ethics investigation of the former Oregon governor who went on to serve many years in the United States Senate. END OF PART I. Next Week: Buying Evangelical Silence: The Institute of Noetic Sciences and the Moonies buy Christian suppression and silence. Spangler, David. REFLECTIONS ON THE CHRIST, published by Findhorn Publications, Findhorn, Moray, Scotland, Third Edition, 1981. 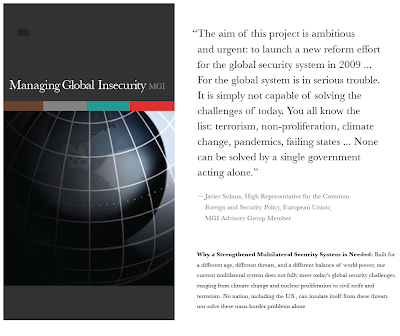 Javier Solana is representing world concerns vis a vis the Iranian nuclear issues. Iran delivered a note to him requesting clarification on certain aspects of incentive programs proposed to them in exchange for them terminating nuclear development projects. Per Voice of America news just in which you may read by clicking here, it sounds ominously like the USA is beating war drums. It will be interesting to see how Javier Solana skates around this! Given the concerns articulated to me by Pastor Ervin Baxter and Dr. Stanley Monteith about war concerns in the Middle East, I am concerned. UPDATE: USA IS DEMANDING UN SECURITY COUNCIL ACTION! SOLANA STILL REPRESENTING ALL NATIONS CURRENTLY MAKING DEMANDS AGAINST IRAN. READ ABOUT IT BY CLICKING HERE.